The reason to change video format from one another varies a lot in the way users handle the file. For instance, your HD camcorder created a high-definition video in AVCHD (.m2ts), what if you want to share it with friends on your new iPhone X? In case you are meant to upload an .avi video on YouTube, the raw file is too big to upload, however. This is where a video format changer comes in. Such kind of tool allows to convert one video codec to another, see, switch AVI to a format in .flv for YouTube uploading with no file size limit, convert video from multi-track MKV to MP4 for flawless mobile playback. If you happen to decode video for your specific needs, keep reading on. We are making a few suggestions to help you out. 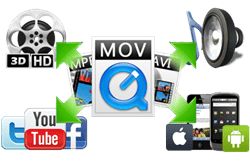 World's no.1 fast to convert video files between MP4, AVI, MKV, WMV, MOV, H264, H.265, MPEG4, AVCHD, MTS, DivX, etc and transfer any video for playback on mobile devices, editing in iMovie or uploading to YouTube. Knowing the video format changed for your specific needs is just the beginning. Things get tricky with parameter settings. Different videos may come with various file sizes, resolutions, codecs, frame rates, bitrates and more. Such variety makes video playback or sharing more complicated. That's why you cannot import even MP4 to iPhone sometimes. You have to keep strict requirements for music, video and movie playback or uploading. Sounds difficult for these non-tech pros? Luckily for you, MacX Video Converter Pro enables you to do any of the tasks in seconds, without need to know any video codec, resolution, or other parameter settings. Infused with 420+ ready preset profiles, you can easily transcode varied videos between MKV, WMV, AVI, MOV, M4V, MP4, FLV, MTS, MOD, etc and convert video to iPhone X, iPad Pro, iPad Mini 4, The Apple TV 4, Samsung Galaxy Note 8, and more. Moreover, it is a good tool to convert video to another one supported by YouTube, Facebook, Metacafe and other web sites at fastest speed yet maintaining the highest possible quality. 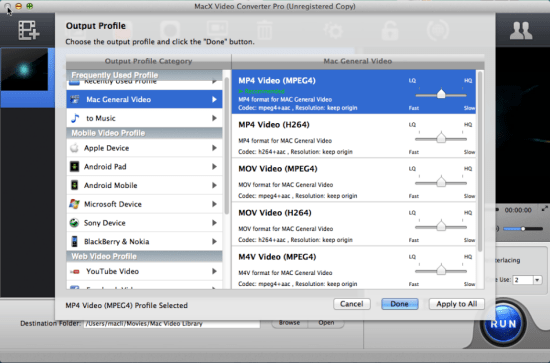 How to Change Video Format using MacX Video Converter Pro? Step 1: Click "Add File" button to load the video files you need to change. Please note: MacX is specifically designed for Mac OS X, including the latest macOS Mojave. To Change video format on Windows computer (windows 10 included), please refer to its Windows version. Step 2: Here come the pop-up window where you can find hundreds of video/audio formats and preset profiles for your mobiles or online sharing sites. Choose the format reliant on your own needs. You are recommended to encode video to MP4 as it is widely compatible with media players, smartphones, tablets and video portals. Step 3: Hit "Browse" button to choose the file folder you want to save the file you have changed. Step 4: Click "RUN" button to begin converting video files on macOS. MacX Video Converter Pro boasts 5X real-time conversion speed. You can easily change video format in seconds. But keep one thing in mind the specific speed is reliant on the video length and quality as well as your computer hardware configuration. There is no one video compatible with all media players, smartphones or tablets, some video codecs are even created specifically for certain gadgets. For instance, Apple's iPhone iPad can only read MOV, MP4 and M4V. To have your video playable on specific gadget, you need to change the format of a video to suit your detailed device. For Apple iPhone iPad iPod: Please change video formats like AVI, WMV, MKV, MTS, MOD, etc to MOV, M4V and MP4. 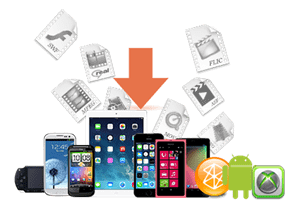 For Android Samsung HTC: Please change file format of a video like AVCHd, M2TS, MKV, M4V, MOV, etc to MP4, 3GP, AVI, etc that are more compatible with Android devices. Apple's QuickTime player and Windows media player are two big rivals in the field of media player. Windows media player will always be used to playback video that QT cannot play, such as WMV. You need to change WMV to MOV that is the default format by QT. And vise versa. 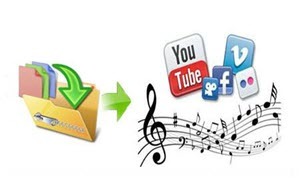 You sometimes need to convert video files for flawless uploading to video sharing sites like YouTube, Facebook, etc. If you want to upload video to YouTube or Facebook easily, changing video format so as to make it readable by the video portals is of top priority and then do some parameter and file size adjusting. For YouTube Uploading: Make sure your video is transcoded to H.264 with AAC or MP3 audio in MP4, preferably, and shorten the file size to be less than 1 GB. For Facebook Sharing: We recommend you to transform video to AVI, FLV, MP4, MKV, MOV, 3GP, etc. But H.264 with AAC audio in MP4 or MOV format is preferred. Soon or later, your iPhone iPad may run out of storage space due to the growing videos stored thereon, e.g. the AVCHD videos recorded by your HD camcorders, the multi-track 4K MKV files, etc. So you may need to change video to smaller format for easy emailing or storage. Below are the recommended file format you can change to. They are WMV and FLV. So you can move MKV, WMV formats to WMV or FLV format with a video converter.